Only two months remain until the kickoff of one of the East Coast’s most beloved music festivals. Of course, we’re talking about Boston Calling; a festival that has taken the city by storm and will celebrate six years of operation this coming June. With debut global acts like Tame Impala and Travis Scott, as well as returning heavyweights, such as Odesza, the festival has enormous headliners. Despite the obvious draws, the undercard has a lot of hidden talent— here are some of our recommendations. The festival has always strived to bring local talent onto the stage, so it comes as no surprise that Clairo finally swoops onto the bill. Repping the home state of Massachusetts, Clairo blew into the spotlight with a track titled “Pretty Girl”. Her sound could be described as lo-fi, yet it contains a quirkiness that the genre has rarely seen. Her ‘diary 001’ EP held onto these previous concepts, yet incorporated a tasteful level of pop— leaving many fans eager for the second installment. Beautiful melodies and cloudy beats, bundled up with a voice to match is something to be excited for and worth checking during her Boston Calling debut performance. Catch this local icon serenading one of the stages on Saturday, May 24th. Coming off his most experimental album yet, Denzel Curry will be bringing his deliciously destructive energy to the Boston Calling stage. While Denzel became a household name after releasing his seemingly magnum opus of a track “ULTIMATE”, his artistry was really brought to light with the release of his mid-2018 project, ‘TA13OO’. Unorthodoxly split up into three acts, the project was the first to truly explore the different avenues of this Florida-based rapper and disprove any thoughts of him being a one-trick pony. While one second you may be enjoying the sweet melancholy vibe of “Black Balloons”, the next you could be exposed to his old school cutthroat chops in a track like “Super Saiyan Superman”. If you’re looking to see one of the most underrated and versatile artists in hip-hop music today, Denzel should be a top priority for you throughout Saturday. Check out his hit single, “CLOUT COBAIN”, below. Few names in electronic music have the vibe to fit the indie vision the festival was founded on. Luckily, Mura Masa is one of them. The English Grammy-nominated hit maker will be bringing his eclectic sounds, most likely with a guest, to fill the void of an otherwise 808-less Friday. However, there’s also reason to suspect that the project mastermind, Alex, will bringing his performance on fresh terms — being more heavily centered around an instrumental backbone. His latest vlog, which can be seen below, shows him and longtime collaborator Bonzai touring, making music, and having a significantly upgraded arsenal of equipment to the show. Alex surrounds himself with drums, a synth, and at times a guitar to relay his digital ideas; some of which sounding like unreleased tracks that are just now testing the waters. 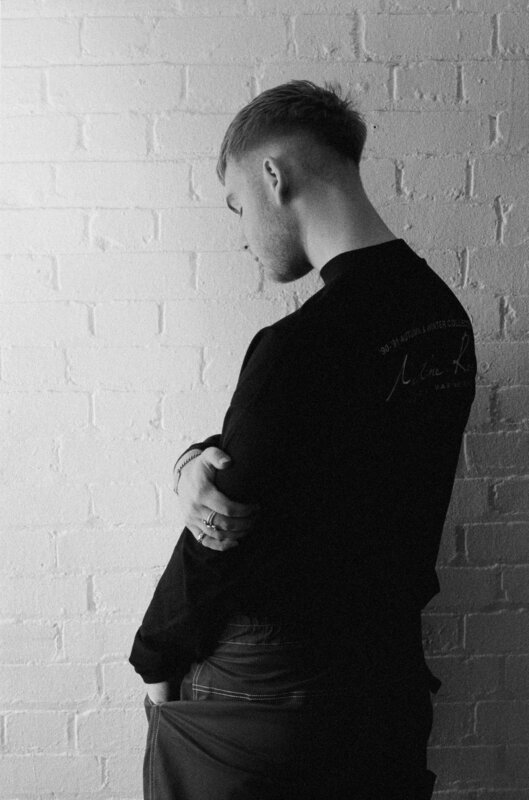 Regardless of the type of performance planned, Mura Masa and friends are a surefire way to kick off Friday in style. R&B fans rejoice, as Zero Fatigue co-founder Ravyn Lenae looks to deliver on the festival’s closing day. Having gained the initial public eye with “Baby”, a collab with Zero Fatigue production wiz-kid, Monte Booker, Ravyn has shown the utmost consistency of a rising artist. Her latest project, titled the ‘Crush EP’, took Ravyn’s signature sound and doused it an unpredictably satisfying coat of funk. With her already vast catalog, Ravyn has a lot to choose from for her set. If something a little more upbeat and vocally-driven sounds like it’d be up your ally, then Ravyn Lenae will help wind down your Sunday on a blissfully high note. Taking the festival circuit by storm, Snail Mail has truly shown that they’re a standout act in 2019. Coming out of Baltimore, this project by frontwoman Lindsey Jordan carries an indie rock spirit that Boston Calling veterans will fall in love with. While most of the music is her own, she has incorporated a live band to accompany her on tour. Her record, ‘Lush’, recorded with bandmates Ray Brown and Alex Bass, was the debut project that really brought their sound to a bigger audience. With fans eager to see this newly formed group live, expect nothing but first class delivery from Snail Mail on Sunday. Their hit track, “Heat Wave”, can be found below. While we only gave five shoutouts, a sea of talent still awaits to be discovered. Looking to get tickets? Click here to be taken to the ticket page— with options varying from single day passes to being a VIP for the weekend. We’ll see you at this year’s festivities!